One thing worth knowing before we dive head-on into this is where the phone fits into the market price-wise. and to give you an idea in terms of price, the P20 Pro set at $799 when it first launched which makes it a fair bit cheaper than the iPhone 10 at $999, while the Galaxy S9 Plus at 869 but at the same time, it’s far from a value oriented handset you can get the top tier OnePlus 5T for just $4.99. The company has made a huge deal about the camera in this phone, and its DxO mark score is off the charts. So, is it tens across the board well right off the bat you’ll notice a few things the extremely fast shutter speeds, three times optical zoom which lets you take clear photos from much further away, and the suspect is pretty much better than every main line flagship phone. You can also use the zoom in, but you should expect some delay while capturing photos. So, for this reason you may need to set it at 10MP as the default. The AI technology detects the scene you’re in and add colors and contrast accordingly, which sometimes can honestly work really well, except the fact that it has some delay comparatively to Others. And completely change the color profile with even sprinting, while holding the phone resulting in stable footage this is really one of the best stabilization we’ve seen on a phone. But when you scale that up to 4k, which really is the current and almost an expectation of a phone in 2018. The stabilization drops off a cliff and it goes from one of the best flagships in this area, to one of the worst. So, as a verdict on the camera it’s very good. the low-light capabilities are impressive and the zoom Trump’s almost all the competition, I can say with full confidence it’s good, but I would refrain from saying it is outstanding, because in the end you’ll probably find yourself taking 10MP photos rather than 40MP. Aside from the camera, the P20 Pro has four more very interesting aspects to it, the body, the battery, the software and the display. In terms of body the P20 pro is again a sweet and sour ordeal forgetting for a second the resemblance to the iPhone 10 I think the color combo is audacious I like it. Particularly the twilight version, even though, that it won’t be available for everyone, but there are other subtler color combinations to choose from. The body itself feels premium and with 7.8mm and 180g it still slimmer and lighter than the S9 plus with 8.5mm and 189g. Though, it may not be the winner of all round for some people. And if you feel that this is the phone your looking for, just go for it ignore our cons, because what we’re doing here is highlighting the details as much as possible and underlining what the companies try to hide. P20 pro has skipped the headphone jack, doesn’t have wireless charging and only has ip67 water resistance compared to IP68 on those sort of flagships, and the fingerprints are more frustrating on this phone than ever. Because you can just tell that Huawei have poured so much time and love to only create this glimmering finish. BATTERY: P20 Pro isn’t good at camera only, but it also has a great battery life with 4,000mAh battery, which should last you all day long and still have some juice for the second day. It’s not perfect there’s definitely things that must be improved but most smartphones are below this range when it comes to battery life. SOFTWARE: there is a lot to say about software, the phone is running on EMUI 8.1 which is based on the latest Android 8.1 and in that sense it’s great. This year’s Android 8.1 you can probably say it doesn’t really look like it’s EMUI is hallways own skin on Android, the same way Samsung has Samsung experience or HTC has HTC Sense, but I’m not even sure if at this point we can really call EMUI a skin. In the p20 Pro it is ingrained into pretty much everything you do, it’s almost a separate version of Android altogether. Huawei has pre-installed a lot of Google Apps as well as their own first party apps. So, there’s a fair bit of bloat on the phone when you get it. The first party apps are easy to dismiss in favor of Google’s alternatives, but surprisingly they’re visually pleasing and some like the translator actively used the AI functionality to retrieve results offline and faster than with Google Translate. The big part of this AI technology has been poured in the camera, but the phone does also use machine learning to figure out the apps you use the most and dynamically dedicates more resources to them. This will adjust over time as your usage does. So, the company claims this means your phone will not only start fast, but also it stay fast for the two to three years you plan to use it on a subject of speed you’ve got plenty of RAM for multi-tasking, and powered by Kirin 970 chip which still one of the powerful chips in the market. It’s got a 6.1 inch unusual 18.7:9 aspect ratio and 2240 by 1080p resolution, again strange AMOLED panel. 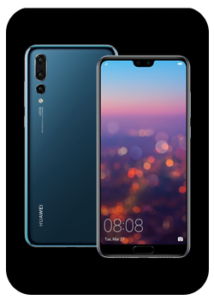 And of course there is also the polarizing knotch, but honestly Huawei has made the best of it and not too smaller than with many other phones the icons are split between either sides. And almost every app works in full screen thanks to the software, and you even got the option to disable it if you really didn’t like it and that just adds a black bar across the top. What is cool about the display is like with a lot of things on this phone you’ve got a lot of flexibility, you can even do things like automatically adjust color temperature and lower resolution even further if you need more battery life. Aside from all this, we do have an improved dual speaker setup this is definitely a leap above any previous hallway phone, and it brings it more into line with what other manufacturers are doing. There are no SD cards though, but I wouldn’t consider this a problem because 128GB of onboard storage is standard of which over 110 is available. 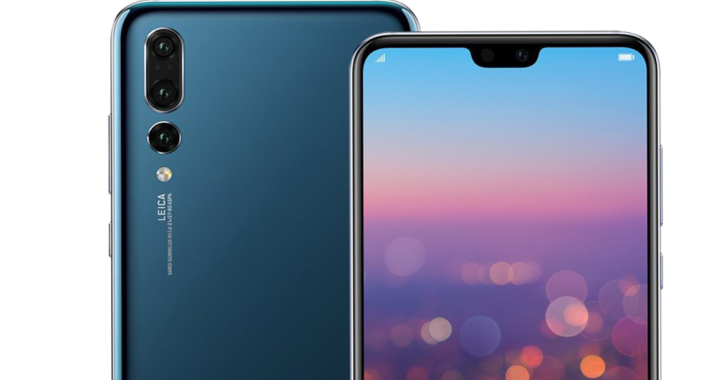 so in summary the P20 Pro is one of the best smartphones we’ve ever seen, it is a cheaper device than most of its competitors, but in some aspects it’s raising the bar for what to expect from a mobile phone, camera, battery and design wise it is a jump not just for Huawei but for the entire smartphone market. Some aspects are definitely underwhelming, like the video recording or the older chip inside and the AI integration is still not really a game changer, but don’t let this sway your opinion of the device the Huawei p20 pro is surprisingly good.